LOS ANGELES, CA – FEBRUARY 06: Ozzy Osbourne Announces ‘No More Tours 2’ Final World Tour at Press Conference at his Los Angeles Home on February 6, 2018 in Los Angeles, California. (Photo by Kevin Winter/Getty Images for Live Nation). 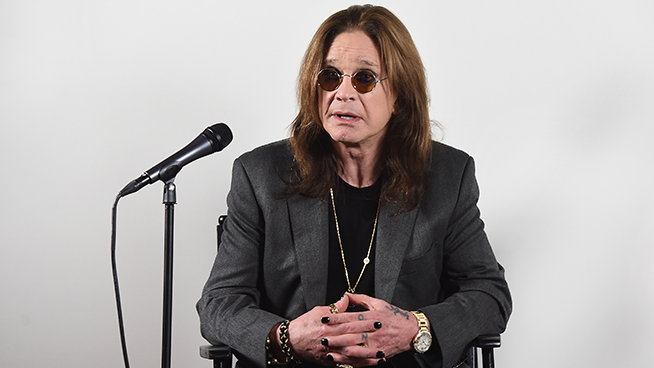 After spending nearly one week in the hospital from complications with the flu, Ozzy Osbourne was admitted to a private hospital’s intensive care facility. The singers current bronchitis has become progressively worst however Sharon, Kelly and Jack are doing their best to keep spirits high. For more details, click here.